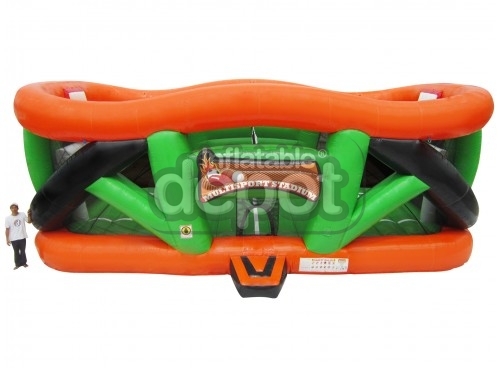 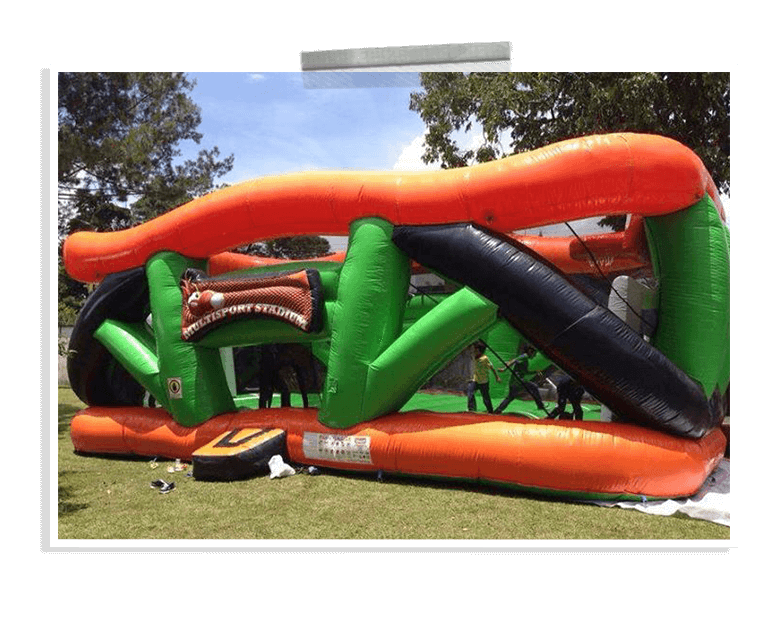 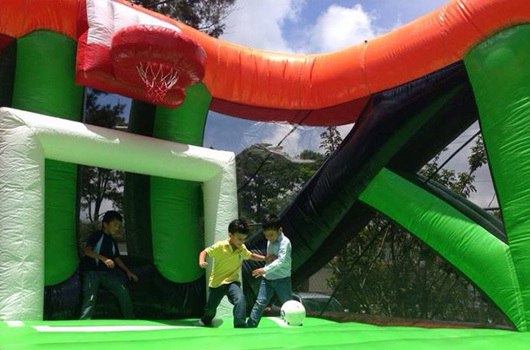 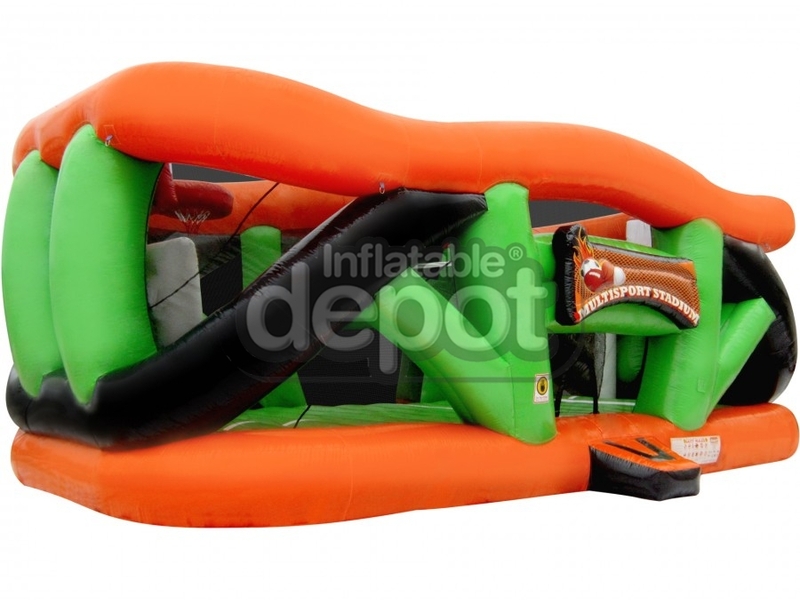 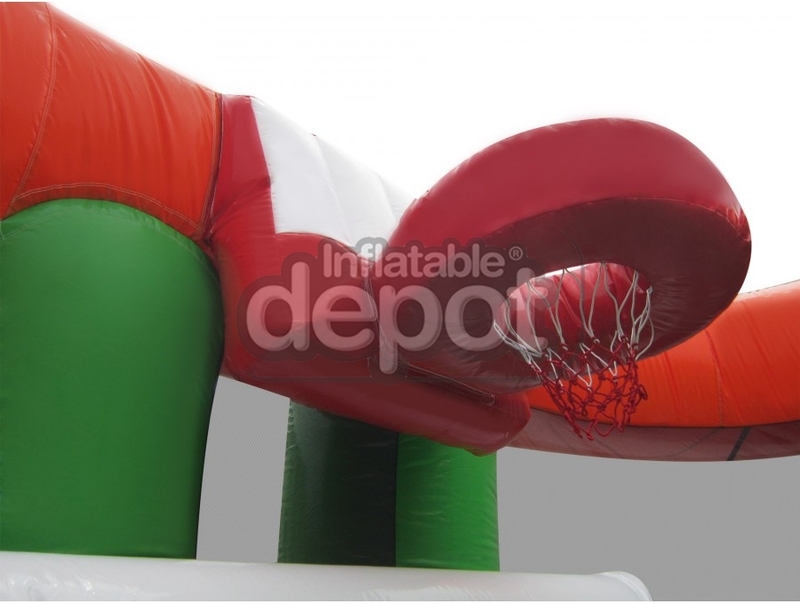 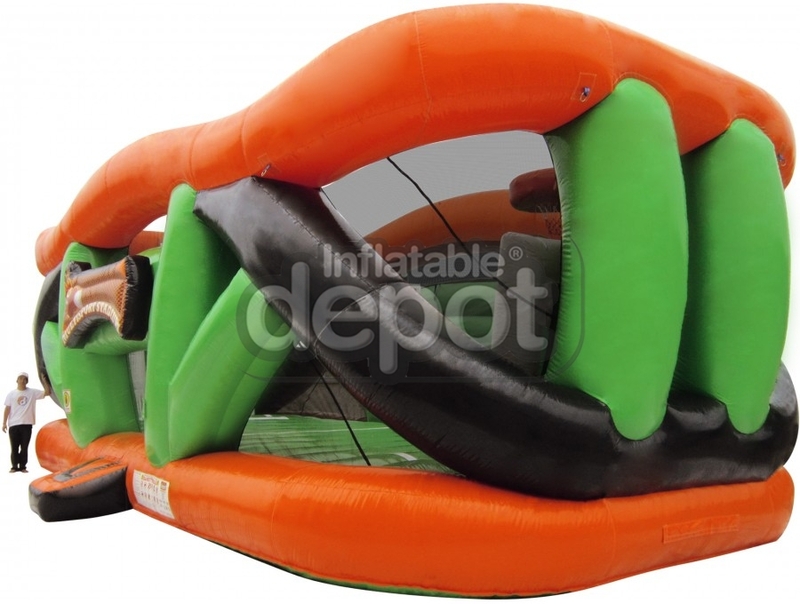 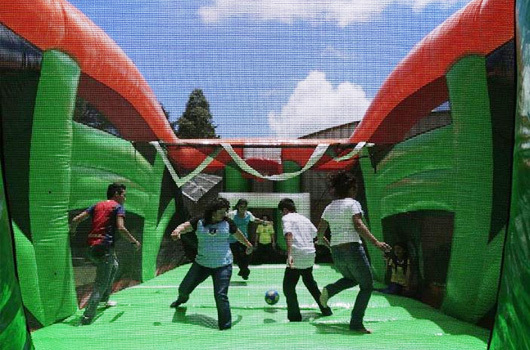 This game is a custom designed Sports Fusion inflatable.This colossal ride is sure to catch everyone’s attention at any event. 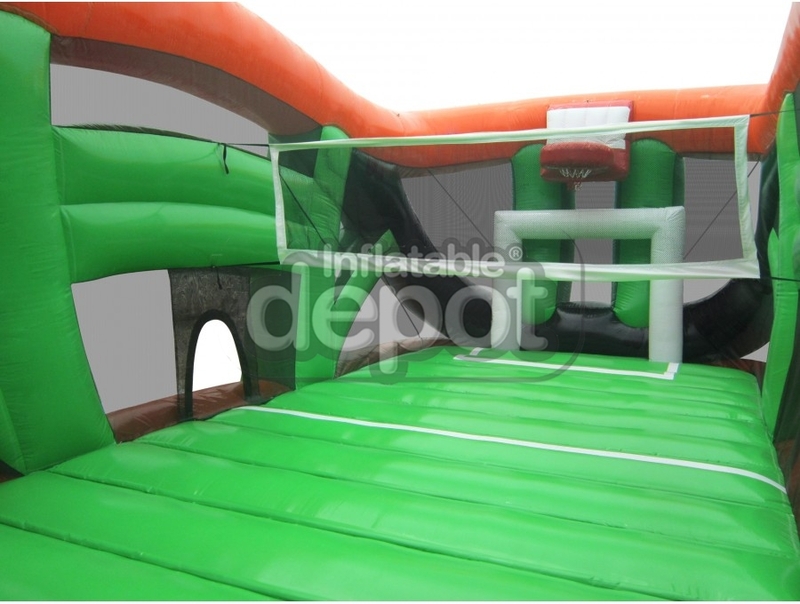 Its modern design and color scheme are appealing features that truly make it a sight to behold. 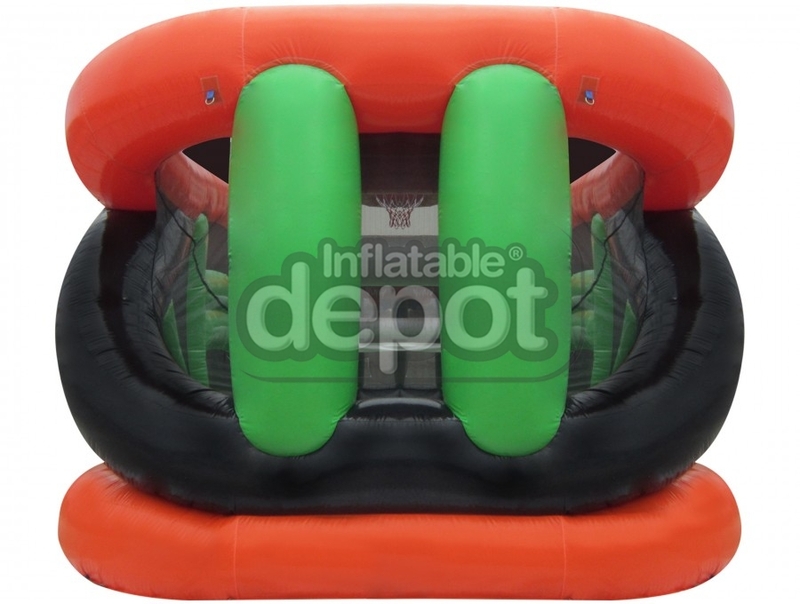 This game has everything you can ask for in an inflatable ride. 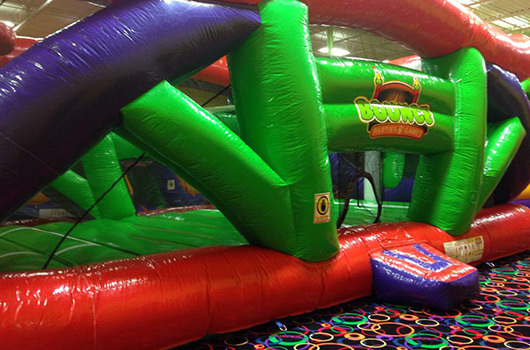 It is designed with safety and quality in mind for riders to enjoy worry-free.Participants will definitely enjoy the space available to bounce around. 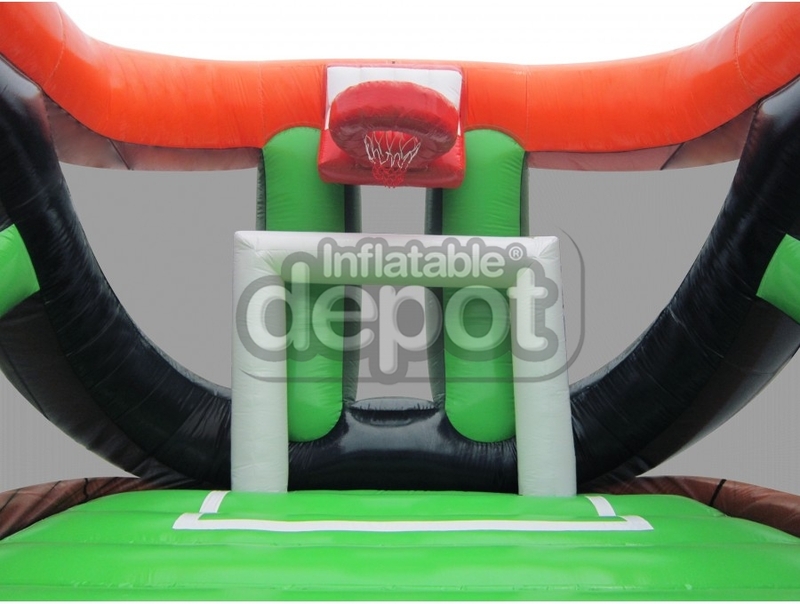 The basketball hoops hang high above the spacious soccer nets, allowing for exciting play. 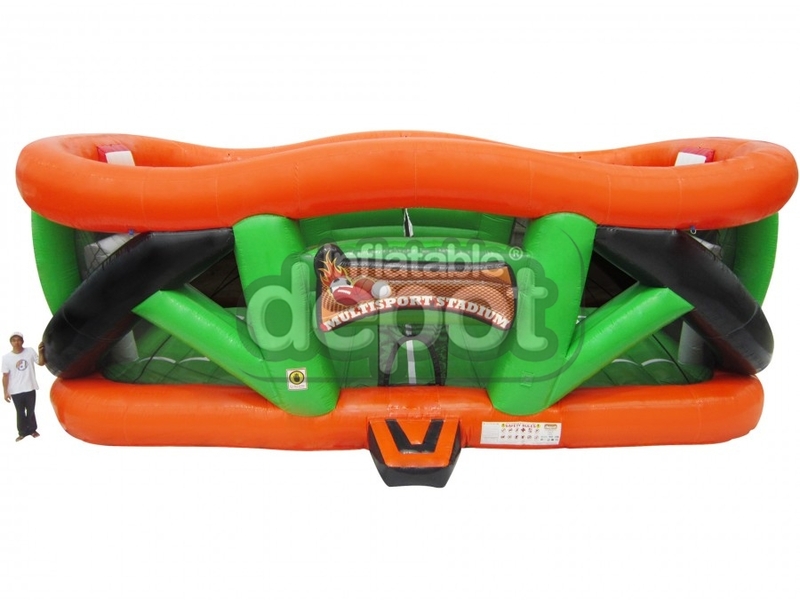 The volleyball net in the center of the ride is removable, which allows for use of this incredible game as a dodge-ball arena or boxing ring.